Eaton Freedom Series Heavy-duty auxiliary contact has contact voltage rating of 600-Volt AC at 10-Amps and 250-Volt DC at 5-Amps. 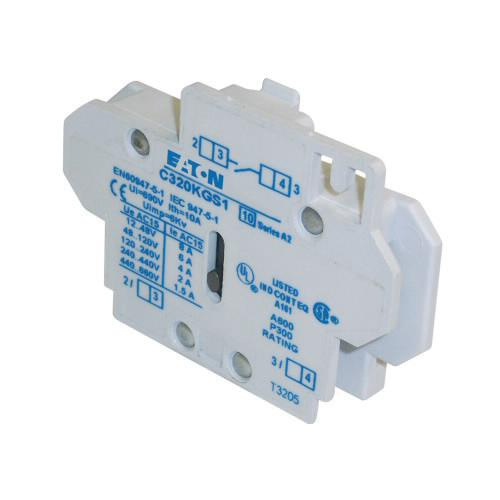 This contact withstands a current rating of 10-Amps and voltage rating of 120 - 600-Volt AC. It has silver cadmium alloy contact and supports side mounting. It has 1 NO contact configuration and snap-on terminal connection. Contact is RoHS compliant.